Now that smartwatches are a thing, it means that our watches now require charging and software updates just like our smartphones. 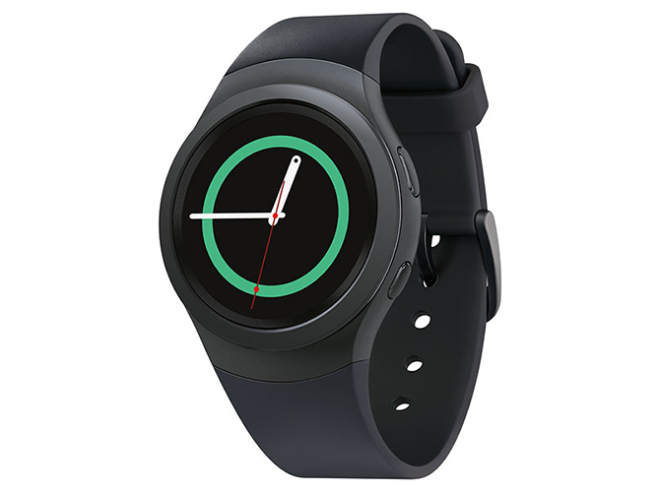 And today, folks with the Samsung Gear S2 are getting to experience a watch update first-hand. The Gear S2 is now getting a software update to version R730TUVU1AOL3. The update is rather small, weighing in at just 4.85MB. The changelog lists battery life optimizations as the only change. As of this writing, T-Mobile’s Gear S2 support page doesn’t appear to have been updated to reflect this new update. 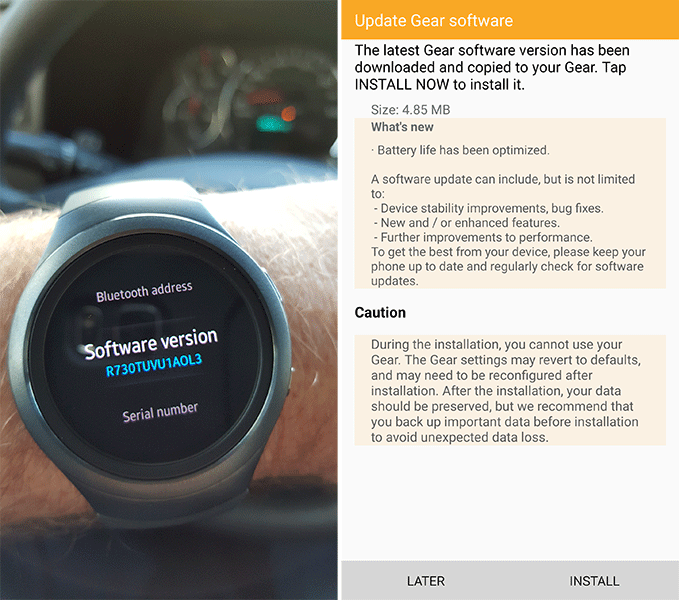 In fact, clicking the “Update available” button pushes you a support page for the original Gear S.
While the Gear S2 is getting a software update just like a smartphone, the process of updating your watch is a bit different than the way that you update your phone. With the Gear S2, you need to grab your phone and launch the Samsung Gear app, then go into Settings, About Gear, and Update Gear software. This update may be a small one, but battery life is a big feature of smartwatches. After all, once your smartwatch runs out of juice, it becomes an expensive bracelet with a blank screen. So this Gear S2 update is definitely worth seeking out if you’ve got Samsung’s smartwatch strapped to your wrist. I haven’t noticed any difference in battery life. I’ll give it a few days. The gear s2 has the best battery life out of the major players, so you’ll do better than whatever you’re coming from. It has better battery life than the moto360. In fact, it has the best battery life of any smartwatch with active displays. Download Mr.Time Maker from the Gear apps store and from playstore. I sent this but got bad news about the update, its causing horrific battery draw, no setting or apps have changed. How about an article about Legeres new blog post about 2015 today? I don’t know what they did under the hood, but there’s a vast battery improvement for me. Before I was struggling to get through the day. By midnight (my day starts at 5:30a) I would be almost if not out of battery. Today, (12:30a CST on December 31) I’m at 65%! I could probably last two whole days without charging at this pace. Mine is exactly the opposite o_0. I can barely make it 8 hours now. I was getting well over a full day before. I read a review about the bluetooth connection between the S2 and the phone becoming disconnected and being difficult to reestablish. Has anyone experienced this? And has sammy come out with a fix? I’ve been holding out on this since I read that.